Hilary Standing has a doctorate in social anthropology and has spent much of her professional life working in international development. She has lived and worked for long periods in India and Bangladesh and has researched and consulted in many other countries. She is an emeritus professor and emeritus fellow at the Institute of Development Studies, University of Sussex. She has always been a secret scribbler and first conceived of this novel over a decade ago. In 2010, she embarked on an MA in Creative Writing at Royal Holloway, University of London, graduating with a distinction. 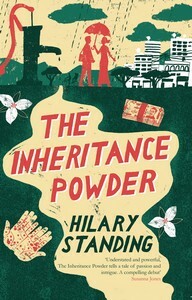 The Inheritance Powder was shortlisted for the Yeovil Literary Prize in 2014. She is currently working on two other writing projects closer to home, focused on the worlds of people with learning disabilities.